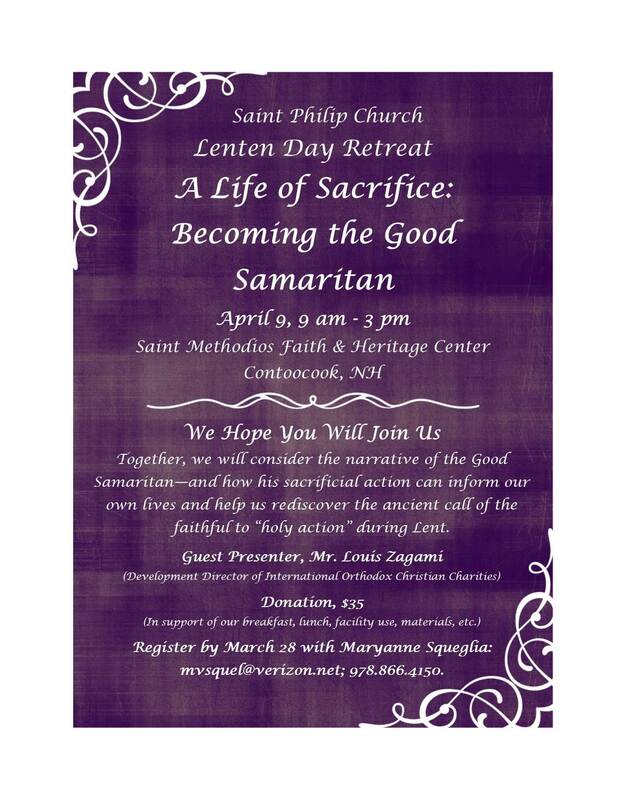 Our Parish Lenten Retreat is slated for Sat., April 9! All parishioners and interested friends are welcome to join us. Please read on within the flyer, and register today. This is something wonderful we can all do for ourselves this Lenten season.